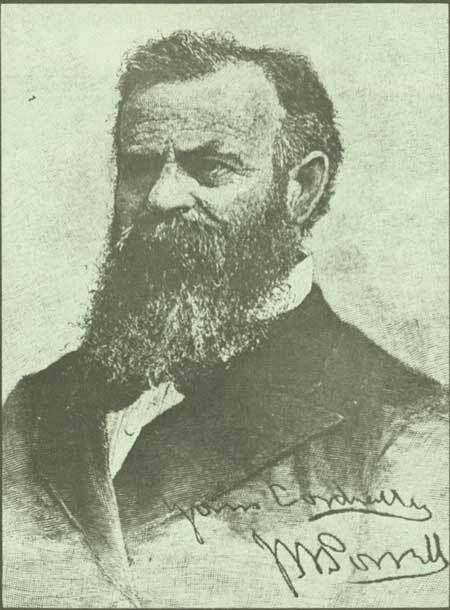 On May 24, 1869, Major John Wesley Powell, a 35-year-old professor of natural history, and nine adventurers set out from Green River Station, Wyoming Territory, to explore the Colorado River and its canyons. Only six of the explorers exited at the mouth of the Grand Canyon 3 months and 6 days later. 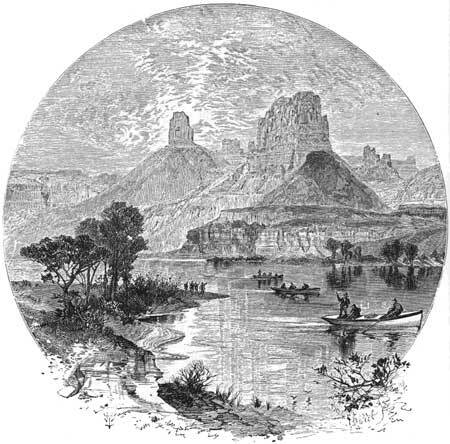 One left the expedition after 6 weeks, and three were killed by Indians after leaving the party only 2 days before it emerged from the Grand Canyon. The expedition members were hunters, guides, Indian fighters, and adventurers. Powell was the only scientist in the group; even he was largely self-taught. His enthusiasm and perseverance, however, were mainly responsible for the trip's completion. The area through which they traveled was then just a blank space on the map of the United States. Today much of the territory is unchanged from what it was when first penetrated by the Powell expedition. 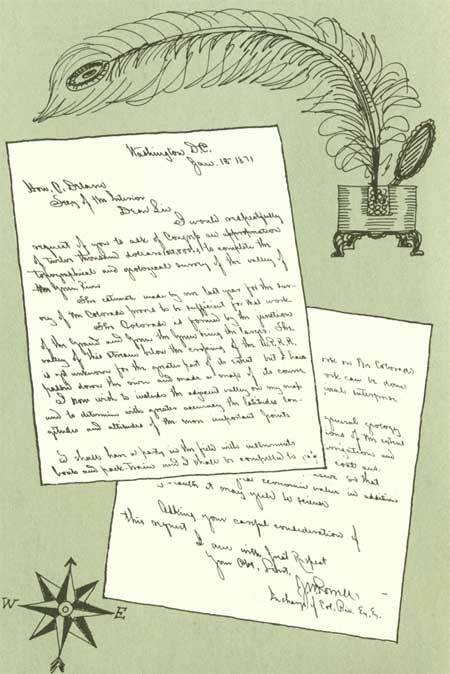 Major Powell's request for a Congressional appropriation of $12,000 to complete the topographical and geological survey of the valley of the Green River. From its headwaters on the west slope of the Rocky Mountains, the Colorado River follows a southwesterly course across the high Colorado Plateau and the low-lying Basin and Range province to the Gulf of California. Its course has been cut through mountains, plateaus, and desert plains; it is cliff-bound nine-tenths of its way across the plateaus of southeastern Utah and northwestern Arizona. Geologically, the part of the river explored by Powell is largely within the Colorado Plateau, an area of nearly horizontal sedimentary rock that stands at great altitude, generally more than 5,000 feet high, and is locally upwarped into mountains. The streams flow in steep-walled canyons, many of which are brilliantly colored. The climate is arid and vegetation is sparse. There are extensive areas of bare rock. The start from Green River Station.